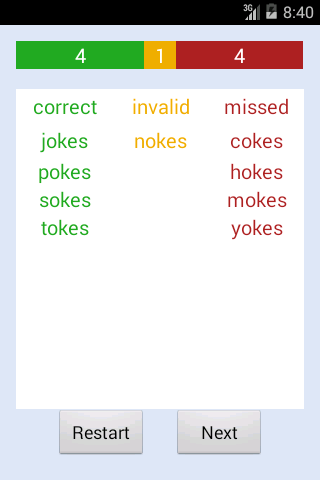 A new version of Xumoqi (AKA Scrabble Tutor) has been released on the Google Play Store. Please take a look, and tell me what you think. I’m refining it to be more game-like, and plan to add hints, such as the popular “Betsy’s Foot” for “ka” words (kab, kae, kaf, kas, kat, kay, oka, ska), coming up with my own. such as the simple “yeah” for “sh” words (sha, she, shh, shy).